When life gets stressful, nothing is better than curling up with a good book and entering your own little world. And, what better way of doing so than in your own home library? Stocked with piles of your favourite novels, cosy chairs and desk space, this can be the perfect place to retreat to after a stressful day of work, or on a drizzly Sunday. Here, we will be sharing our top home library ideas, including the furniture, shelving and accessories you should have. Before you start getting carried away with furniture shopping for your home library, you’ll need to assess the size of the room and plan the layout you want it to have. The bookcase is likely to be the focus for the room, so decide whether you want your home library shelving to be dotted around, or one large gallery-style bookshelf wall. You’ll also need to plan where you want any large pieces of furniture, like cosy armchairs, tables and sofas to go. 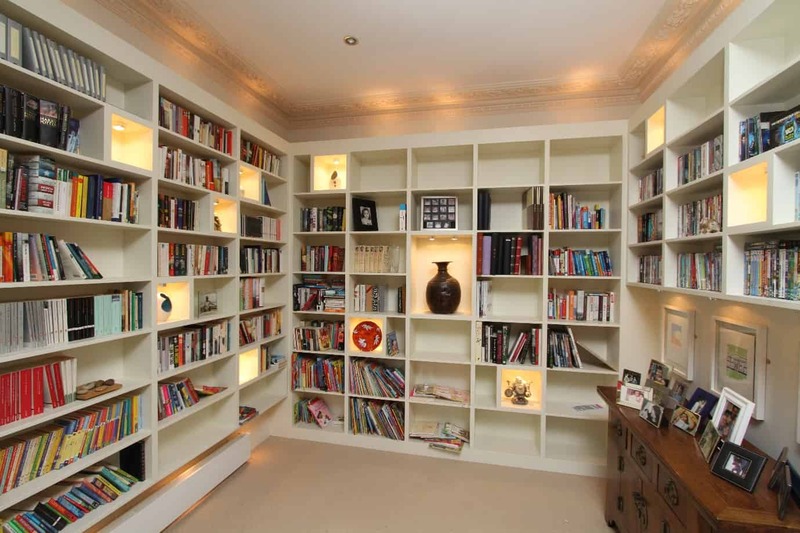 And, make sure that you measure up the room you’ll be transforming into your library before you buy anything. 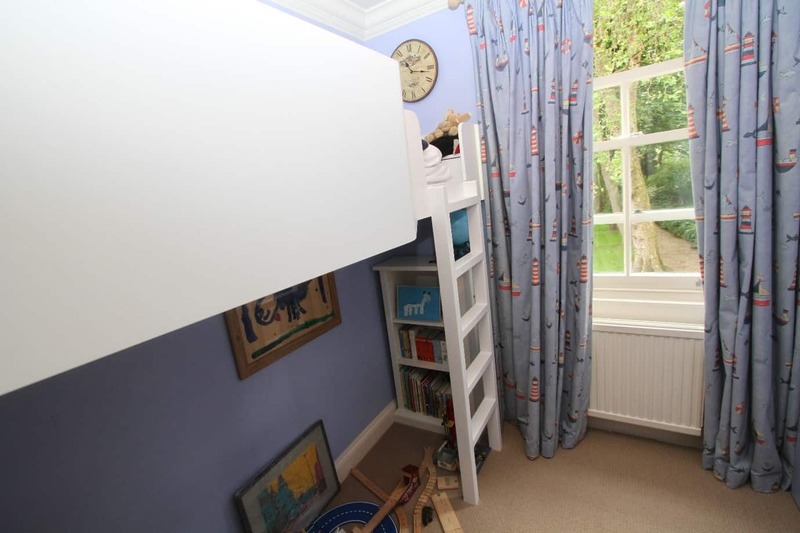 This will include taking the length, width and height of the room. Coming up with a theme is a great way to ensure the room flows and can be helpful when choosing your home library furniture, shelving and more. For a more traditional look, you might want to opt for deeper, richer colours such as mahogany and burgundy. These can help warm up the room and will imitate the look of traditional libraries. 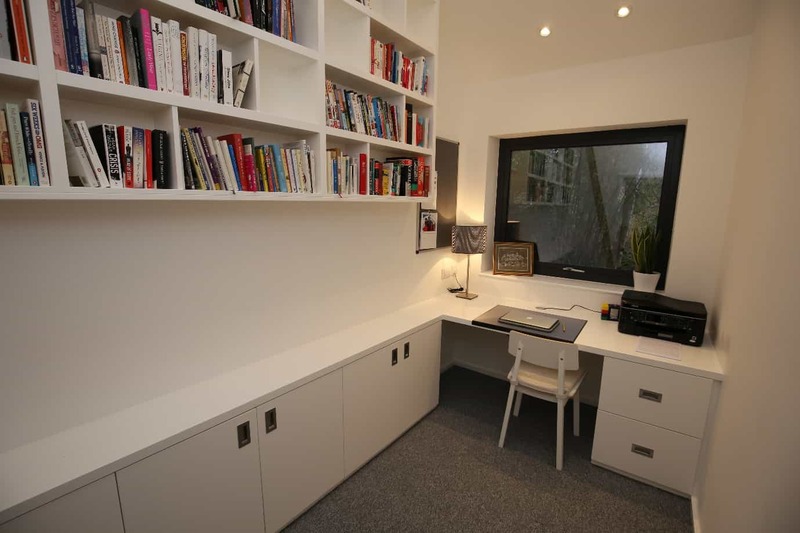 However, if you’re looking for a more modern take on home library design, you might want to go for more contemporary colour schemes like white or black, as well as reserving some space for technological devices so it can double up as a study. If you’re struggling for home library design ideas, you can sign up to inspiration sites such as Pinterest to get plenty of ideas, including colour themes and materials to use throughout the room. Settling down with a good book can easily result in you being sat in the same chair for hours, so make sure cosy seating is a priority in your home library. When you’re looking for a chair or sofa, you should be thinking about how supportive and comfortable the seat will be once you’ve spent a prolonged period of time in it. Plus, it needs to be well-made enough to withstand years of use. For a truly quintessential touch, you should be opting for a timeless looking armchair, such as this Cambridge recliner chair from Sofas By Saxon. As well as coming in a range of stunning classic colours, the foam seat cushions, padded back and reclining footrest will provide optimum comfort for avid readers everywhere. The main event in any library is the books it’ll be packed with. So, be sure to put plenty of time aside when considering home library ideas to find the perfect bookcase. 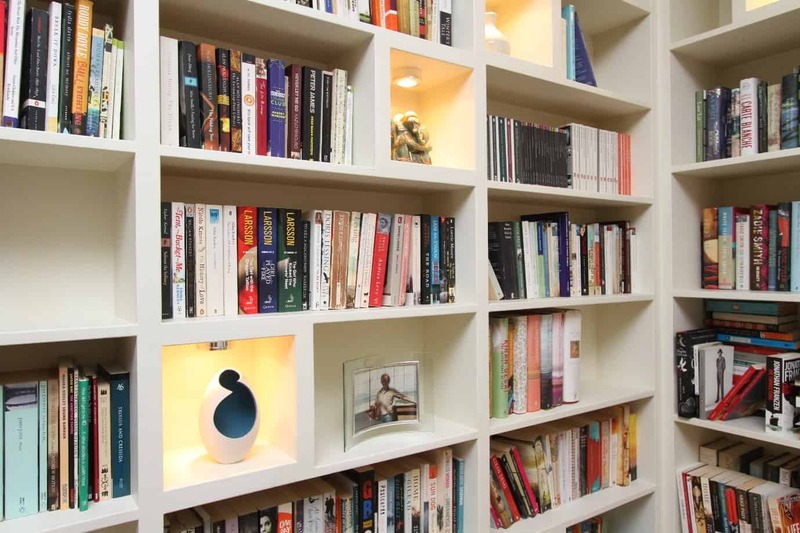 There are plenty of different sizes, shapes and colours available to buy, but if you want to give your home library the perfectly quintessential vibe, you should consider getting some bespoke home library bookcases. 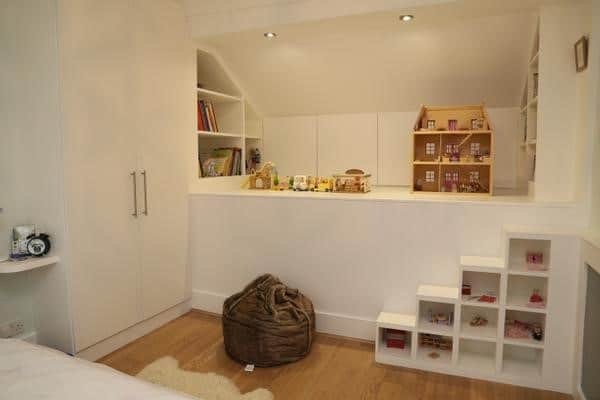 Having your home library shelving made to order means you can make the space truly yours. It will also ensure it matches any existing furniture, as well as guaranteeing that it will be a perfect fit. Plus, you can request additional shelving to fill with trophies, frames or other decorative elements. When coming up with home library ideas, it’ll be good to think outside of the box. As well as checking off all the obvious things like your home library furniture and shelving, you should be thinking of what home accessories you want to put inside it. Your library should be a relaxing place that you will love to spend time, so adding photo frames of your loved ones, as well as some attractive ornaments and therapeutic smelling candles will make your home library the ultimate cosy retreat. Creating your own home library can seem like a lot of work, but with our four top tips and some creativity, you’ll be well on your way to having a perfect spot for curling up and getting some much-needed downtime in.